It’s been event central at Avant PR over the past few weeks, with a whole host of diary dates keeping the team on its toes in the run up to Christmas. 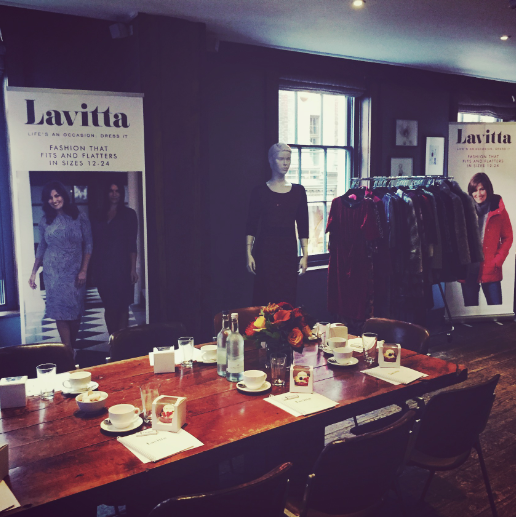 To kick off six weeks of events, the team organised a press breakfast at Soho House for fashion brand, Lavitta, to show press through the brand’s AW15 collection. Some fabulous journalists came down for a chat and a look through the new season pieces, while we happily fuelled up for the day ahead with coffee, croissants and other such treats. Just one week later, In The Style announced the launch of Binky Felstead’s new collection with the brand, so the team headed down to London’s Sanctum Soho Hotel for an exciting press day filled with press interviews and a blogger lunch. Binky looked amazing wearing pieces from her own collection, filled with boho styles in seasonal colours, and it’s safe to say that the whole office has now developed an unhealthy obsession with the Made in Chelsea beaut! Following Binky’s press day, the Avant PR girls jumped back on the train to London to organise press interviews for Charlotte Crosby and Lauren Pope, both of whom were launching their own AW15 collections with In The Style. After the trio of press days, it was time for the big one – Binky’s AW15 launch party at Libertine by Chinawhite in central London. With over 200 celebs, press and bloggers in attendance, the event was complete with some amazing goody bags, a catwalk showing off the collection and some dangerously good cocktails. Finally, last week saw the team arrange a press visit for Lavitta, to introduce yet more press to the brand’s new collections. With plenty of going out dresses and glam separates for the festive season, the collection drops on 2nd November. It shows no signs of slowing down any time soon either, with further press days and launch parties in the pipeline for an exciting new celebrity collection, plus next week’s trip to the CIPR Awards, at which we’re shortlisted for Outstanding Small Consultancy. Watch this space for more information and news on who our new celebrity is!